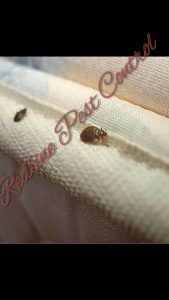 Bed bugs and how to avoid bed bugs hitchhiking their way back to your home. When you think of bed bugs you think gee they must go to the nastiest of homes but that is not true. Bed bugs will hitchhike in your bags and luggage when you have stayed overnight in a hotel or someone who may have had an outbreak of bed bugs. Bed bugs are a nocturnal parasite which feeds on the blood of their host. A typical feed for bed bugs usually will last between two to five minutes. Bed bugs can travel around 100 feet each night and will often spread by cracks, crevices, pipes, under doorways and being transported through luggage, bedding, mattresses and clothing. Like German cockroaches bed bugs breed at a rapid rate often infesting a room within just two weeks. So what are somethings you can do in order not to bring these blood sucking parasites home with you the next time you sleep out of your home. Check the room that you are staying in, lift up the bed to see if there is any bed bugs along the seams, blood marks, dark excrements, check drawers and wardrobes. Travel lightly. Don’t over pack as when you have too many bags and items this will be a perfect hiding ground for bed bugs. Never put your luggage directly on the bed, couch or floor. These days most hotels have a luggage stand or you can use the bench tops or tables to open your luggage. Always put your luggage up high as bed bugs tend to stay closer to the ground. If you are lucky to have a dryer in your room pop all of your clothes even the ones that you didn’t wear into the dryer for around an hour. Never pick up couches, mattresses and other upholstered items from the side of the road as this could potentially have bed bugs and other pests. When you return home unpack your luggage in the laundry and wash everything in eucalyptus oil that you have taken with you then place in the dryer once finished. Do not leave the washed clothes in the laundry take them and put them away immediately.